The term "vintage" is used to describe clothing between 20 and 100 years old that is also clearly representative of the era in which it was produced. It could be said that to be called vintage the piece should strongly reflect styles and trends associated with that era. Vintage clothing can be haute couture or quality mainstream fashion labels; it can be used, new (from deadstock), manufactured, or handmade. It is important to understand that the definition of vintage is fluid, so every decade brings forth new items that fit into this category. It is also important to understand that all vintage will eventually become antique — clothing 100 years old or more is classified as antique. Classic style, as opposed to vintage, means a piece remains stylish through time; in other words, it does not reflect the era in which it was made but rather transcends all eras, with minor style adjustments. 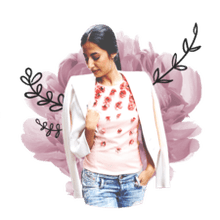 Examples of classic styles are the little black dress, trench coats, button-up white shirts, pumps (style, not height or type of heel) and blazers. So a little black dress from the 1980s, for instance, would be classic, not vintage, while a blazer with significant shoulder pads from that era would be vintage. 1920s: Flapper dresses, long beads, heeled Mary Janes, and T-strap shoes. 1930s: Bolero jackets, puffed and fluttery sleeves, fedoras, oxfords, slingbacks, and peep-toe shoes. 1940s: Straight tweed and wool plaid skirts, reptile handbags and shoes, platform shoes, brooches. 1950s: Full skirts and petticoats, shirtwaist dresses, fur trim, twin sweater sets, strings of pearls, Wayfarer sunglasses. 1960s: Early — Anything Jackie Kennedy style — elegant box-jacket suits and pillbox hats; late — bell-bottom jeans, flowing tops, hippie/bohemian style. 1970s: Platforms, Birkin bag, flare jeans, boho-chic, boots (especially thigh-high), block heels, khaki. 1980s: Izod golf shirts, gold chains, blazers and sweaters with strong shoulder pads, stilettos. 1990s: Baggy flannel shirts, leggings, big sweaters, chokers. If you want to wear vintage, look in shops that have vintage in the name or description. 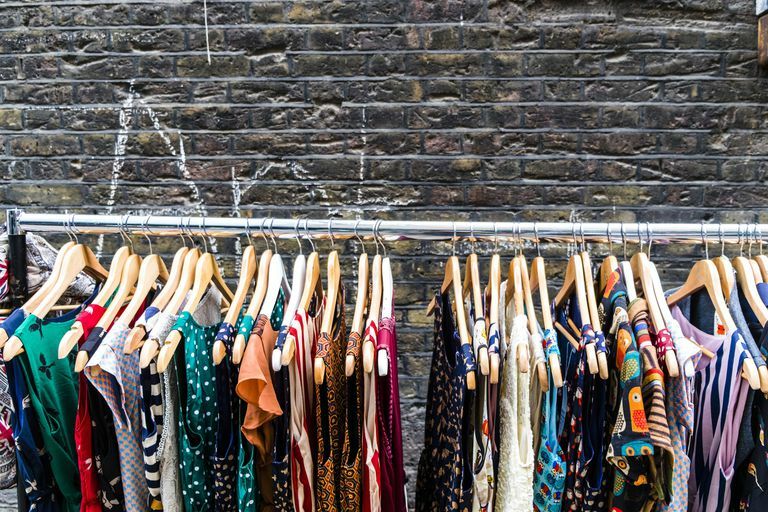 You might find vintage pieces in second-hand shops, but what you will mainly find is just old clothing. In vintage shops, you will find a curated collection of pieces and a knowledgeable owner to help you. If you like pieces from several eras, go for it. But focus on accessories that you can pair with your contemporary clothes for a touch of vintage rather than mixing up several bygone styles. A word about size: Women's dress sizes have changed significantly over time. A rule of thumb is that a piece of clothing from the 1950s or '60s is marked 4 to 6 sizes larger than modern sizing. So for example, a dress from that era that is a size 12 would be approximately a size 6 today. So don't freak out about the size on the label. As you get closer to the current time, for instance, a piece of clothing made in the late '80s or '90s, you can expect that sizes will be more in line with what you wear now. Always try a piece on to be sure it fits before you buy.